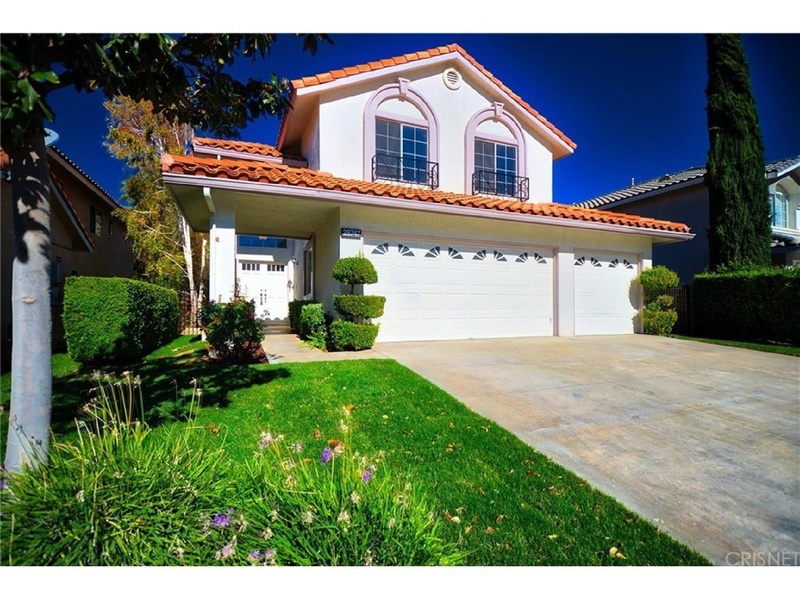 This Spanish influenced home is move in ready! Newly updated beauty blends the best elements of newer construction with classic style. Abundant windows allow light to bathe the newly updated open style great room. A dual sided fireplace is a focal point and separates the great room from your family room/dining area. Fresh paint, new flooring and vaulted ceilings make quite an impression, portico accent windows add depth and character creating a uniquely classic look. Kitchen has been updated with modern quartz counter tops, new appliances and complementary tile flooring. Upstairs you will find the large master bedroom with vaulted ceilings, remodeled bathroom featuring dual sinks, new counter tops, separate tub/shower and large walk in closet. Two good sized bedrooms and a shared bath down the hall. Three car attached garage with direct access and separate laundry room. This backyard is ready for family fun with plenty of space and privacy. No HOA or Mello Roos and close to parks, shopping and award winning schools.